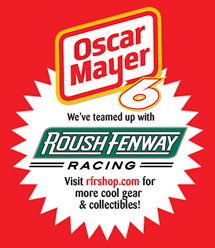 Roundhouse Marketing is an officially licensed vendor for the sale of Oscar Mayer WIENERMOBILE items found on OhIWish.com. We are unable to address questions or issues not specifically pertaining to these items. For updates on the location of the WIENERMOBILE, download the App (available for iOS and Android). OSCAR MAYER and the WIENERMOBILE are registered trademarks of Kraft Foods Group Brands LLC. Used with permission. We accept Visa, MasterCard and Discover. All prices are in US dollars. All sales are final. No return of merchandise. Exchanges can be made up to 60 days from date of purchase. Merchandise can be exchanged at the consumer’s expense. We are unable to ship products outside of the United States. Due to available inventory, quantities may be limited per order. In stock items are shipped within 1-4 business days. Backorder items may take up to three weeks before being shipped. Expedited shipping orders must be placed by 2pm CST. Order confirmations are sent via email after your order has been placed.